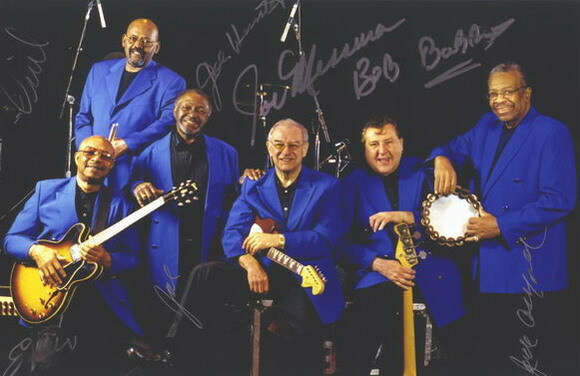 From left to right: Eddie Willis, Uriel Jones, Joe Hunter, Joe Messina, Bob Babbitt & Jack Ashford. 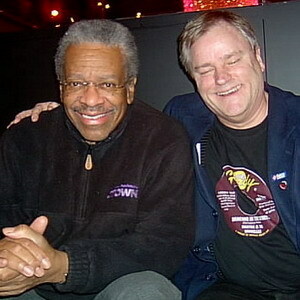 Jack Ashford tells me a tambourine joke. 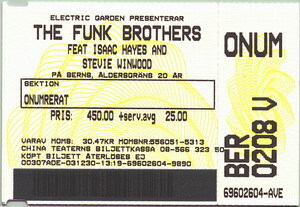 Ticket for the Funk Brothers Concert in Stockholm. Isaac Hayes was nowhere to be seen. 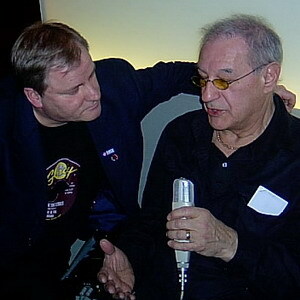 Bob Babbitt talks about playing bass on Motown records. 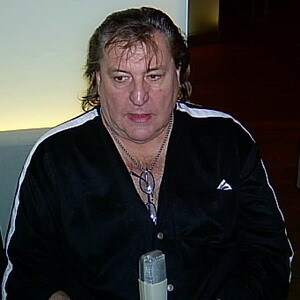 "I will never forget the What's Going On recordings". 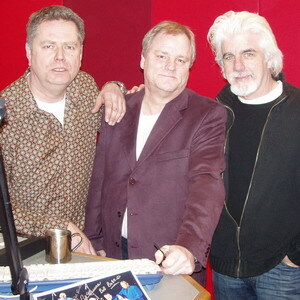 ...or three amigos in Stockholm: Swedish morning DJ Jesse Wallin, me & Michael McDonald, February 2, 2005 in a radio studio. 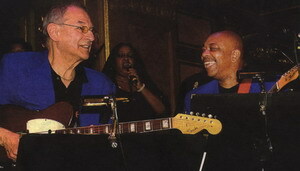 Me & Joe Messina talks about the Motown guitar backbeat. "Dancing In The Street was a memorable session" he says. 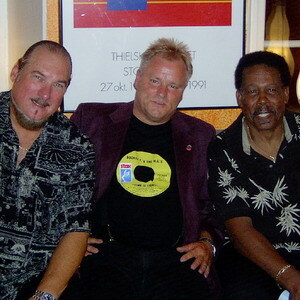 concert at Skeppsholmen, Stockholm, summer 2003.